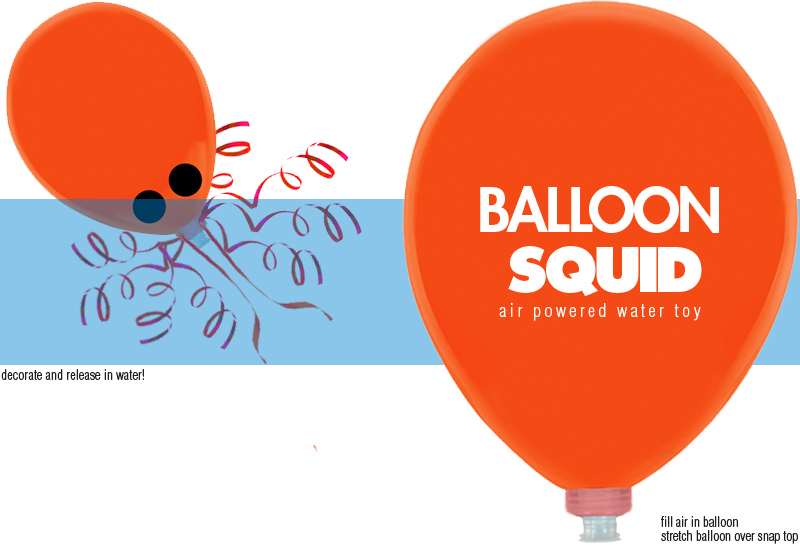 Explore the power of air and wind energy by constructing a balloon squid to play with in the pool! Estimate the distance you think your squid can swim. Then, measure the actual distance he travelled. Build more than one and have a balloon squid race! Click here for how to instructions from Monkey See Monkey Do! Click here to learn how to make an air powered balloon boat!